Would you like to learn more about your dog? Or other people's dogs? 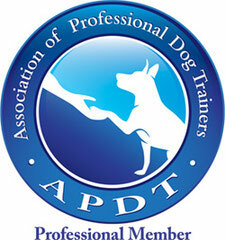 Are you interested in becoming a professional in the Dog World...or sharpening the skills you already have? 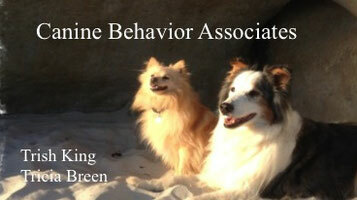 The Academy of Dog Behavior might be just the first step you need. Our classes are casual, interactive, enjoyable, and very informative. Though the course is aimed at people, we include live evaluations, consultations and training sessions to give students a more hands on experience. What the academy is: An intense examination into the animal that is our best friend and has been for upwards of 20,000 years. We discuss the origins of dogs, their emotions, instincts and motivations....and what we humans can do to help dogs who have behavior problems. What the academy is not: a dog training class! It's a class about dog training and behavior. We do work with actual dogs and their owners, but mostly one on one in consultation form. With rare exceptions, students don't bring their own dogs to class. There are two ways you can take Academy classes - Live in Corte Madera, at Camp K9, or online. The online foundation course is 40 hours, and will prepare you for other classes. Nine and 12 hour modules are also available online. Many of the courses offered eligible for CPDT and IAABC CEU's. Give it a try - sign up for one of the 9 hour Academy Modules. The Foundation Class is 18 hours - Six Sundays at three hours. $185.00 for the three week class; $370 for Foundation Course. All Classes are recorded and available for students, in case you have to miss one.